It’s disconcerting when branded searches for your name or your business take visitors to other websites, and not your primary domain. 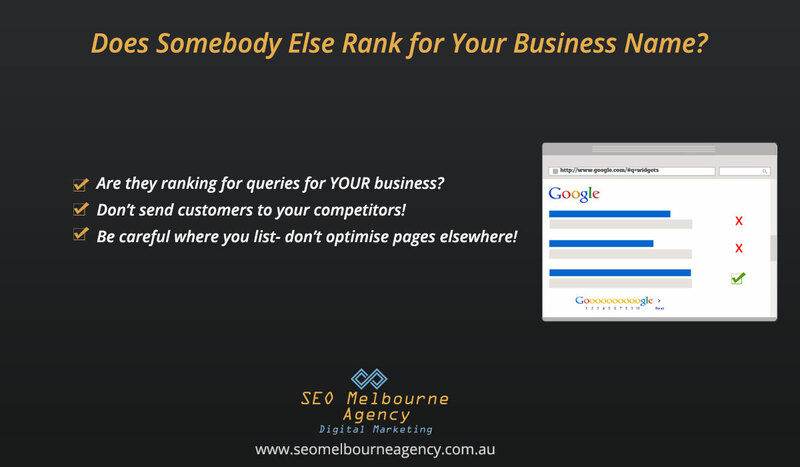 Not ranking for your business name- or branded search- is not a final result. Things can be done to reverse the situation. If your website doesn’t appear in search results for your own name, it can understandably- cause you concern. 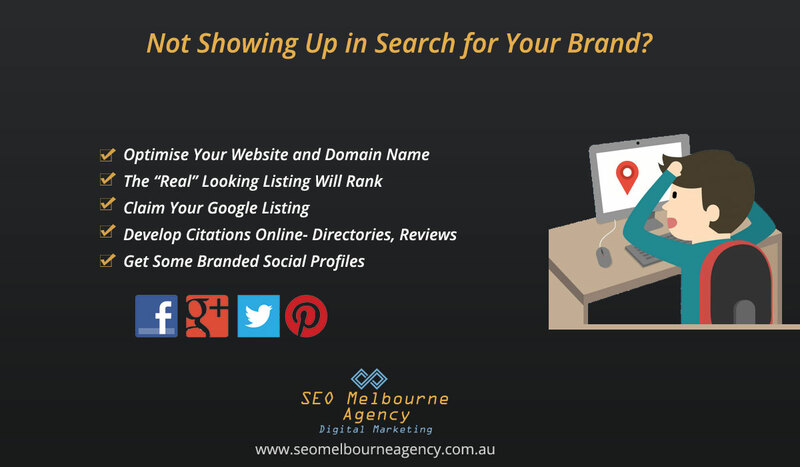 The same advice for making your website show at the top for “branded searches” applies to dealing with the problem of another business ranking for your name. It can- and does happen- with alarming frequency- and particularly with social media accounts outranking the brand’s own website. There are things website owners can do that effectively steal traffic away from the ‘real’ destination URL. But we’re getting ahead of ourselves here. Engaging our SEO service will start you off with everything in your favour. If you are confident and want to go it alone, read on. 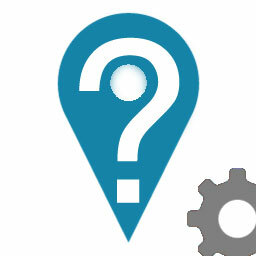 Let’s take a look what you can do, when your business does not show prominently for branded queries, in Google search. There are many reasons why a website might not appear in organic search results. We’re speaking about new websites- under 6 months old. The website has just been published, and hasn’t been around long enough to get found, crawled, indexed and ranked. There is a serious technical error with the site, like a “no index, no follow” directive. The website content is of such poor quality, it’s not allowing the site to be prominently listed. The site is a sub domain of a free online website builder- generally these types of sites do not rank well for anything but the lowest competition-level terms. The owner has engaged a dubious SEO company from the start, who have effectively killed the domain. The domain is carrying a previous owner’s penalty. The website has been over optimized- even excessive use of a brand name can constitute spam. These are all items one would expect to find, on a trustworthy website about baking bread. There would be more too- but you’ll have to visit a reputable bread baking resource online to find out. Google works hard to present the real, most authoritative result for queries. Validating your business helps align your website with the entity of your business. Entities form part of Google’s Knowledge Graph. A good example of the Knowledge Graph at work, happens when you Google a movie star. You get references to the movies they’ve been in, any children, their birthday- and more. 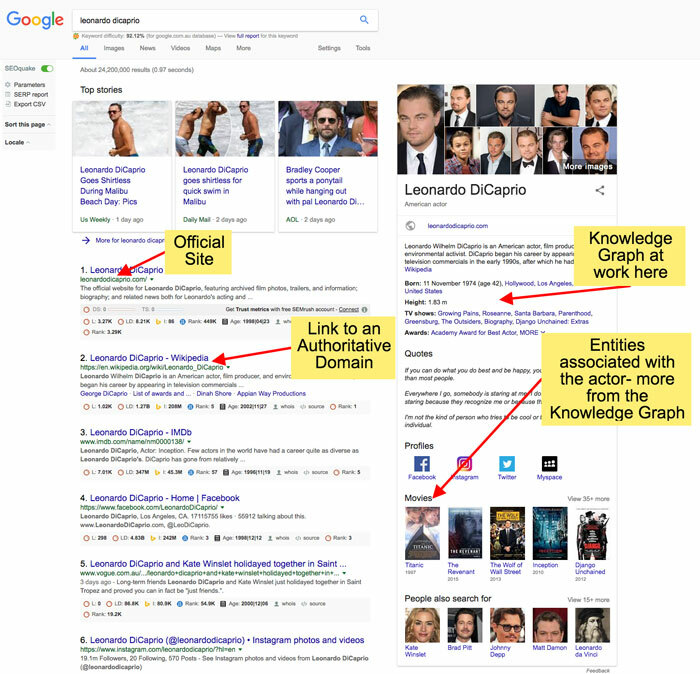 This image helps explain entities and shows how Google’s Knowledge Graph presents information about the subject of our search, without us having implicitly typed those more in-depth queries in. Claim your Google listing. That’s the very first thing you should do. They’ll either send a postcard to the address you nominate- or call you almost instantly with a code that you’ll have to enter on the listing. What’s your Home Page browser bar title? Does it simply say “Home”? Put something in there which makes a statement- a keyword or two- and include the name of your business- as it appears to the public. While we’re on the subject of optimising, be sure your name, address and phone number all match other instances of how they appear online. If you’re listed in the local phone directory, or a business chamber of commerce directory- ensure consistency throughout all of them. Build some “rel=”index,follow” branded links. This one is a no-brainer. Get some inbound linking from reputable websites, and use the name of your business as the anchor text. Remember the link title too. Get some reviews. These add credibility to your operation, and hopefully one of them will cite your URL. Ensure you have a strong domain name. This one- is very important. Try to get a (dot)com. As a second choice, secure the top level domain (TLD) for your country. The domain name should, ideally- mention your brand. If you are chasing a keyword rich TLD, then it might be wise to register that name as well as your brand TLD. Get good hosting- and point your domain to your own host. Sub-domains don’t rank nearly as well. How many Weebly or Wix sites do you see ranking for terms where there is active competition? Set yourself up well right from the start. Get a good domain, build a proper website, paying attention to the fundamentals of SEO during development. You might think you have no competition or very few competitors now… Once the only motor cars on the planet were built by Ford. Head over to the Google Business Portal and complete all the details required to validate. What If Someone Else Appears Instead of You? What’s even worse- is having to deal with someone else- another website appearing higher than yours, when someone searches your business name. This happens more often than people realize. Sometimes it’s by accident- other times it’s a deliberate attempt to steal traffic away from the ‘real’ domain. If someone else- or another business- outranks you for your own business name- they have a chance to steal the attention of the visitor clicking on that particular search result. If their website is compelling enough, the searcher might not even get to the ‘real” domain. Get your Google Business Listing in order. Follow through with entering your business details in reputable directories within the city, state or country that’s relevant. For Australian businesses we’d suggest the Yellow Pages, True Local, Start Local, Hot Frog, C’mon Aussie and DLook. They’ll get you started. Ensure the Name Address and Phone Number fields are filled out consistently. The intention here is to build your citations- to validate and amplify to search engine crawlers, databases and real people- who you are, what your name is and where you operate from. remember to make the descriptive text within each listing unique. Don’t copy the same 3 lines about your mission statement and company philosophy to every directory. Even if you say the same thing- say it differently each time. Get some reviews- this associates other validated people with the entity that is the business you own or operate.